Lionel Martin was born in 2003 in Filderstadt, Germany and spent his first two years of life in Perth, Australia. At the age of 5, he began playing the cello at the Tub̈ ingen Music School with Joseph Hasten, who still teaches him today. Since 2018 Lionel has additional lessons with Thomas Grossenbacher in Zurich. 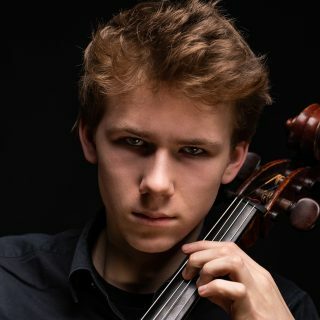 In his very active participation in "Jugend Musiziert" Lionel has been awarded many first national prizes including the highest score in the category cello solo. He has received numerousprizes,includingfromtheJur̈genPontoStiftung,theDeutscheStiftung Musikleben and the Bechstein Stiftung. In addition to his solo performances, Lionel particularly loves playing chamber music. He performs with various ensembles all over Europe and leads the cello ensemble ±12Vc. In October 2017, the cello ensemble of the Deutsche Stiftung Musikleben engaged him to perform in the great hall of the Elbphilharmonie in Hamburg. After frequent performances of the Haydn C major Concerto, Lionel had his debut concert with Tchaikovsky's Variations over a Rococo Theme in the Liederhalle with the Stuttgarter Philharmonie conducted by Dan Ettinger. 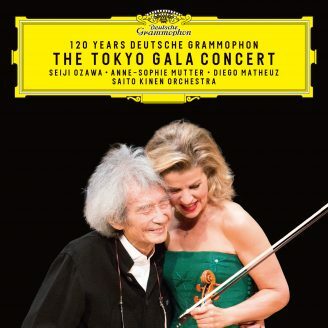 This was followed by solo performances with the Heidelberg Symphony Orchestra at the Rococo Theater Schwetzingen (2017), the Klaipeda Chamber Orchestra in Lithuania, the Stuttgart Chamber Orchestra at the Oberstdorfer Musiksommer 2018, the Youth Symphony Orchestra Tub̈ ingen with Dvorak’s Cello Concerto and the Lun̈ eburg Bach Orchestra (2018). In September 2018 he made his debut recital at the Lucerne Festival. Lionel has been nominated for the "Prix Young Artist of the Year" at the Festival of NationsinBadWor̈ishofen,wherehewillperformTchaikovsky’sRococoVariations with the Festival Orchestra in September 2019. Lionel joined the Anne-Sophie Mutter Foundation as a scholarship student in February 2017.